View More In Chests & Dressers. 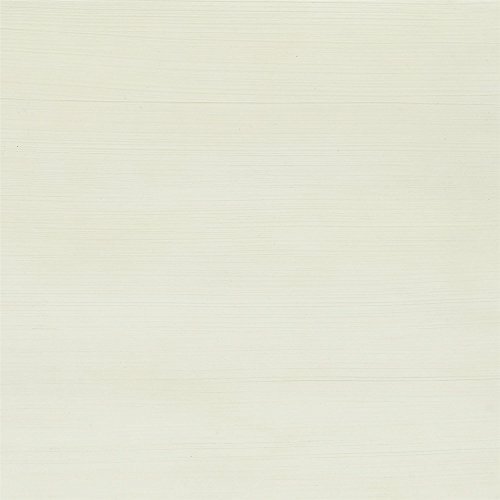 The wood construction and elegant style of the 7-Drawer Dresser will ensure years of use in your nursery or child's room. 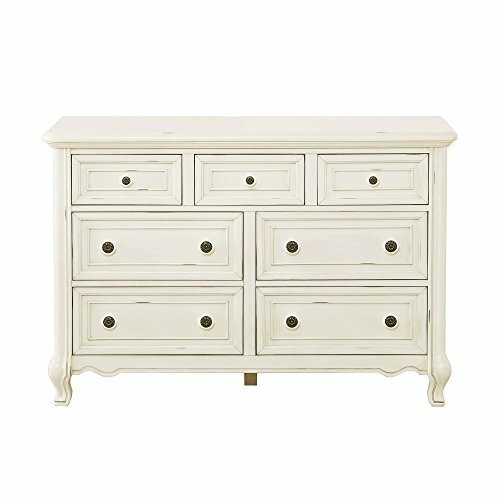 The dresser features detailed wood cuts, recessed panel drawer fronts and regal Queen Anne style feet all subtly accentuated by a hand rubbed antique white finish and offset by contrasting wooden knobs on the drawers. 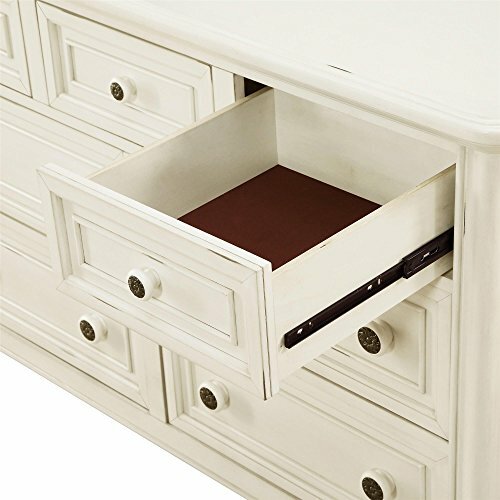 The 7-Drawer Dresser's 7 spacious drawers will satisfy all of your storage needs with 4 large and 3 slimmer drawers, all equipped with ball bearing glides for smooth open and close. Add the Dresser Topper (sold separately) to the 7-Drawer Dresser for a unified and compact changing station. 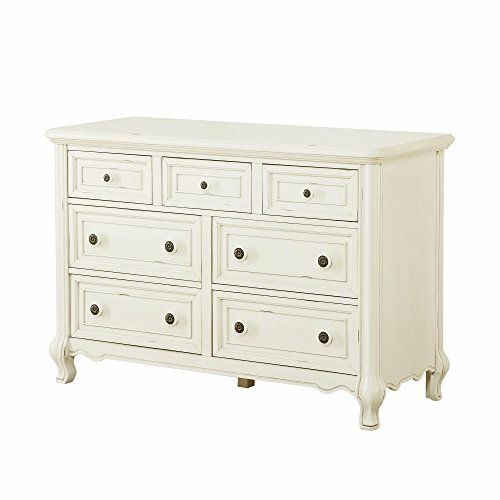 The 7-Drawer Dresser can be combined with other pieces from the collection for an elegantly coordinated nursery look. If you have any questions about this product by Baby Knightly, contact us by completing and submitting the form below. If you are looking for a specif part number, please include it with your message.